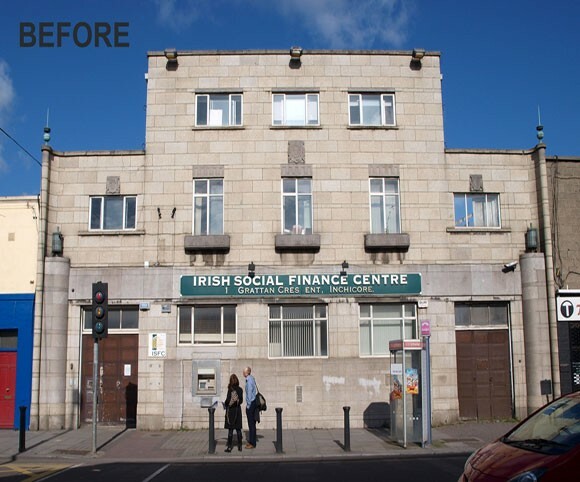 Refurbishment of the former Leinster and Munster Bank Building for an office development for the Irish Social Finance Centre. The building is a protected structure built in the 1940’s. The design respects the significance of the original building and reinstates the key characteristics such as the original features and proportions of the Banking Hall as well as meeting rooms, a new entrance, reception and support areas. Works include stone repair and the re-instatement of the original fenestration style to the front facade.